When I read the first issue of Heroes in Crisis I assumed that, with Booster Gold as a central character, the deaths of Wally West and Roy Harper, among others, would be undone with some time travelling at the end of the miniseries. So, as a result, they had little impact on me. I guess I was in denial. Reading this latest issue of Green Arrow made it all hit home. 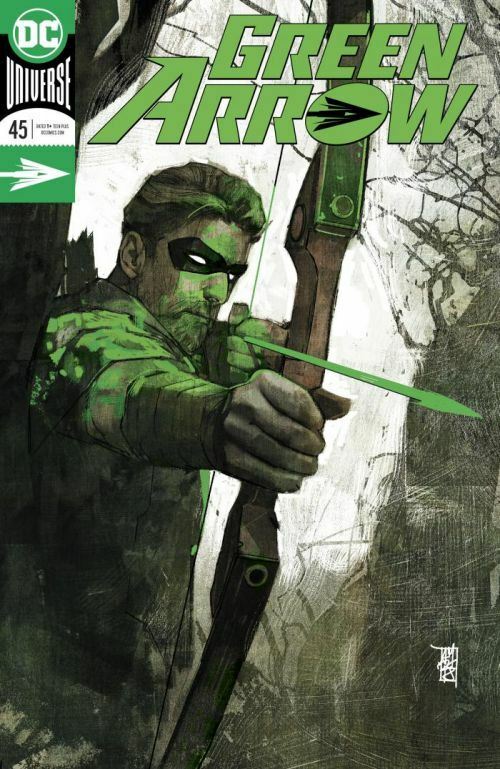 The story consists largely of the funeral for Roy, and Oliver Queen struggling with his feelings towards his former sidekick. Roy Harper really is dead. Speedy is gone for good. This is a powerful tale by the Bensons. Heart-wrenching, without going overboard into pathos. Strong enough that it had me in tears. And when Green Arrow gets angry enough to threaten using the mystery box against the League, blaming them for Roy’s death, I got very scared for them all. One of the very first, if not the first, Green Arrow story I read as a child was a back-up in Action Comics, the first story that re-united Green Arrow and Speedy after the revelation of Roy’s drug addiction in Green Lantern/Green Arrow. The relationship between the two was already strained, and sad. Though there have been a number of stories over the years in which they worked together without recriminations, the pain always wound up resurfacing eventually, a betrayal on both sides that could never be completely plastered over. That long history made this story all the more painful to read. Oliver’s realization that there never would come a day when all would be better between them. The emotions Green Arrow goes through are real, and raw. While on the one hand it feels strange to recommend a story that is bound to make the reader miserable, the quality of it cannot be disregarded.